The signing of a contract to improve hygienic-sanitary conditions in the municipality of Centro Habana, in this capital, is part of the cooperation projects promoted by the Japanese Embassy in Cuba. The embassy signed the agreement with the non-governmental organization (NGO) Movement for Peace, Disarmament and Liberty (MPDL), in order to support the delivery of cleaning equipment for waste collection, repair of communal spaces and sanitation of the capital municipality. The project, which has funding of almost 70,000 euros, also includes the implementation of an educational program on the environment for primary and secondary schools of the locality. 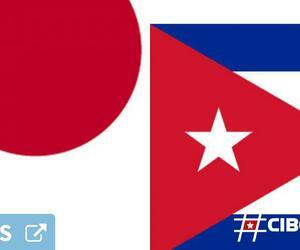 The Japanese ambassador to Havana, Masaru Watanabe, highlighted that Cuba is one of the most important nations of the Caribbean and, therefore, his country supports various forms of cooperation, especially technical, which involves sending specialists in different areas. The Ambassador added that one of the sectors of interest for Japan is tourism, the economic area, and education, because they want to make academic and school exchanges, all this with the cooperation of the Cuban government and people, he pointed out.